Animal rights received a big financial shot in the arm this November when LUSH Cosmetics announced the recipients of the first-ever LUSH Prize to eliminate animal testing. Created by the handmade-cosmetics firm, in conjunction with the not-for-profit Ethical Consumer group, the annual £250,000 ($400,000) prize is the largest monetary award in the alternative-testing sector to date. The LUSH Prize is divvied up among five categories: a Science Prize for the development of replacement non-animal tests, a Training Prize for training researchers in non-animal tests, a Lobbying Prize for policy interventions to promote the use of replacements, a Public Awareness Prize for public-awareness raising of ongoing testing, and four Young Researcher Awards for post-graduates specializing in replacements research. An estimated 100 million animals, including mice, rabbits, and rats, are used in testing laboratories worldwide every year, according to LUSH. The 2012 winners, which comprise scientists, campaigners, lobbyists, training specialists and young researchers, represent a cross-section of the global movement to replace animal testing with methods that are both humane and effective. 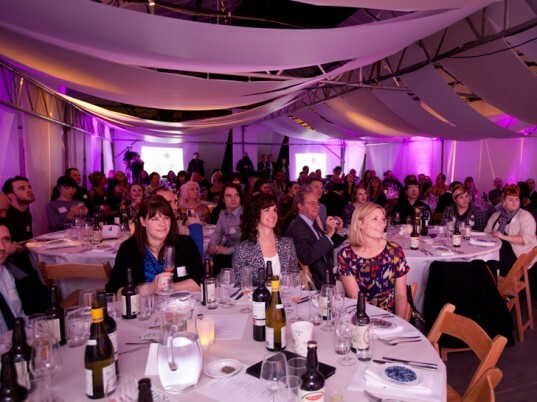 The judging panel was equally diverse, featuring the likes of Andrew Tyler, director of Animal Aid U.K., Troy Seidle, director of Research & Toxicology for Humane Society International, and Gill Langley, a former U.K. government advisor on animal research. An estimated 100 million animals are used in testing laboratories worldwide every year, according to LUSH. The LUSH Young Researchers Prize, valued at £12,500 apiece, went to the United Kingdom’s Elizabeth Woehrling for her work on the development of a new in vitro test for neurotoxicity, the United States’ Felix Rivera-Mariani for expanding an existing non-animal test into new areas, Italy’s Chiara Scanarott for innovations in skin sensitization and chemical mixtures, and Norway’s Line Mathiesen for her studies on the impact of toxins on placental tissue. Animal rights received a big financial shot in the arm this November when LUSH Cosmetics announced the recipients of the first-ever LUSH Prize to eliminate animal testing. Created by the handmade-cosmetics firm, in conjunction with the not-for-profit Ethical Consumer group, the annual �250,000 ($400,000) prize is the largest monetary award in the alternative-testing sector to date. 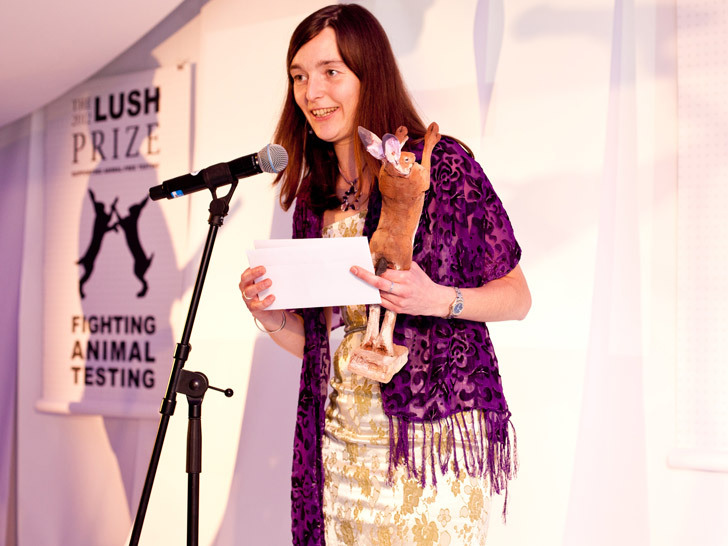 The LUSH Prize is divvied up among five categories: a Science Prize for the development of replacement non-animal tests, a Training Prize for training researchers in non-animal tests, a Lobbying Prize for policy interventions to promote the use of replacements, a Public Awareness Prize for public-awareness raising of ongoing testing, and four Young Researcher Awards for post-graduates specializing in replacements research.